March 7, 2012 by Ken Ward Jr.
We’ve covered here before the ongoing — and rather cooked-up — controversy over the federal Office of Surface Mining Reclamation and Enforcement’s efforts to rewrite the stream buffer zone rule into something that OSMRE Director Joe Pizarchik insists on calling the “stream protection rule” (see here, here and here). At the hearing Committee Members specifically questioned the amount of taxpayer dollars being spent to expedite a rewrite of a rule completed in January, 2009 after five years of extensive environmental and scientific review to complete. According to Pizarchik, the Obama Administration has already spent $3.7million to pay for a contractor that was terminated and awarded Industrial Economics a contract for over $1 million to finish rewriting the rule. Pizarchik was unable to say how much of OSM’s own man-hours have been invested into the process. However, the total cost of the rulemaking process is assured to be even more expensive. Director Pizarchik also admitted OSM will miss their June 29, 2012 deadline to finalize the rule, which was set by a settlement agreement between the National Parks Conservation Association and the Interior Department, which could lead to additional litigation and spending more money. Republicans on the House Natural Resources Committee, who oppose a new Stream Protection Rule, are now investigating OSM’s relationship with a contractor, Polu Kai Services (PKS), that was hired in June 2010 to prepare an Environmental Impact Statement (EIS) for the rule. OSM and the contractor mutually agreed to end their relationship in March 2011 before the EIS was complete. Committee Republicans allege that the Obama administration and OSM acted improperly in seeking this separation agreement and in managing the contract. The Department of Interior has provided more than 12,000 pages of documents to the Committee in response to Republican requests for documents related to this matter. Democratic Committee Staff reviewed these documents at the request of Ranking Member Ed Markey (D-MA) to assess the validity of the Republican allegations. The documents do not support these allegations and in fact show the allegations are untrue. — OSM has acted responsibly in developing the new Stream Protection Rule. Republicans charge that OSM has rushed its stream protection rulemaking, and that it has not provided opportunity for input from outside the agency. Yet OSM still has not even issued a proposed rule after two years of evaluating the issue and gathering broad stakeholder input. Moreover, OSM received more than 32,000 comments on an Advanced Notice of Proposed Rulemaking, which OSM was under no requirement to publish. — OSM provided appropriate instructions to the contractor preparing the Environmental Impact Statement. OSM instructed Polu Kai Services not to share drafts of the proposed rule or Environmental Impact Statement with outside parties such as coal companies. Republicans claim this instruction violated OSM’s “Statement of Work” rules for the contract because the Statement of Work authorized contact with coal companies. In fact, the Statement of Work specifically instructed the contractor that documents could not be disseminated without written approval of the OSM contracting officer (something Republicans have not acknowledged). OSM wanted the contractor to obtain information from coal companies but not to share deliberative documents prior to the publishing of a proposed rule. The instruction was consistent not only with the Statement of Work but with long-standing rulemaking practice under the Administrative Procedure Act. — OSM had sound reasons for separating from the EIS contractor. Committee Republicans have charged that OSM ended its relationship with Polu Kai Services before the EIS was complete because an unfinished draft EIS chapter projected job losses from a possible new rule. However, documents show that OSM had concerns about the contractor’s overall performance, and that these concerns were expressed well before the job estimates were done. What’s more, mining state officials and technical experts from other federal agencies and within OSM were all harshly critical of the contractor’s work, characterizing draft EIS chapters as “inaccurate,” “incomplete,” “erroneous,” “incorrect,” and “insufficient.” There were even apparent instances of plagiarism identified. Instead of wasting time and taxpayer money investigating the Interior Department’s decision to separate from an underperforming contractor, Democrats believe we should focus on the need for a new Stream Protection Rule. 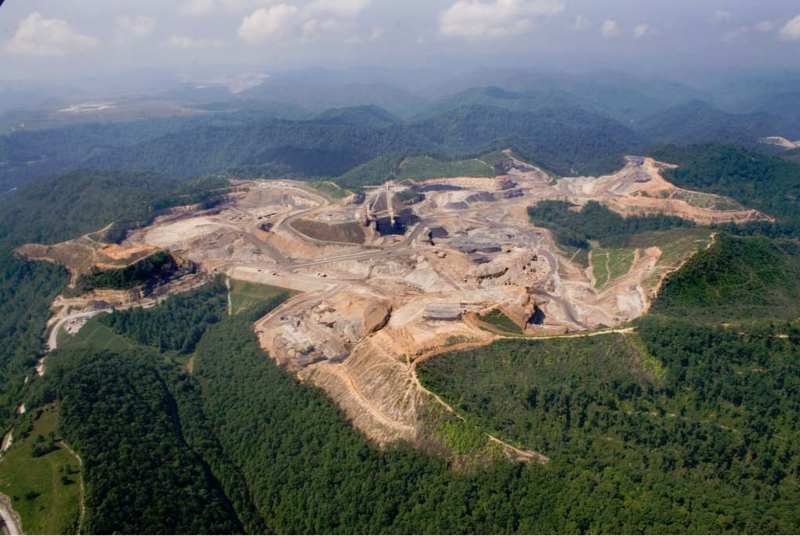 Waste from mountaintop removal mining has buried hundreds of miles of Appalachian streams. The current rule must be strengthened to protect Appalachian communities and prevent coal companies from using the region’s streams as their dumping ground. The Republicans’ baseless investigation is a distraction from that effort. Let’s be clear. Republicans on the House Natural Resources Committee oppose any and all safeguards that would prevent mining companies from dumping waste in Appalachian waterways. This report demonstrates that the Office of Surface Mining has been acting responsibly and following all the standard procedures in this rulemaking. The Majority’s baseless investigation is simply a sideshow designed to distract the American public from the dangers posed by mountaintop removal mining.